Clean, chic, and utterly unique. 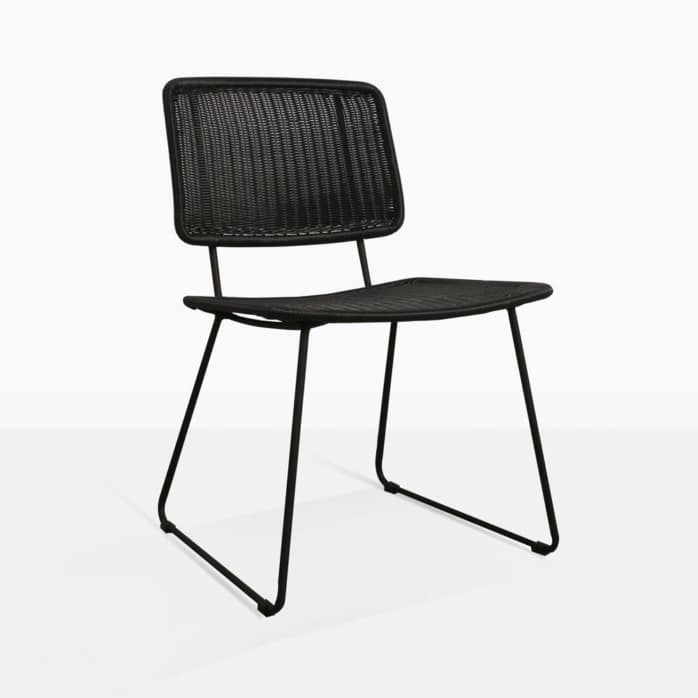 Relish in the modern regalty of the Polly Dining Chair in smart black wicker awakening your outdoor area. Capturing the stylish magic of mid century furniture with a Swiss touch of contemporary glamour, the Polly Chair offers up a nuanced detail to your dining experience. 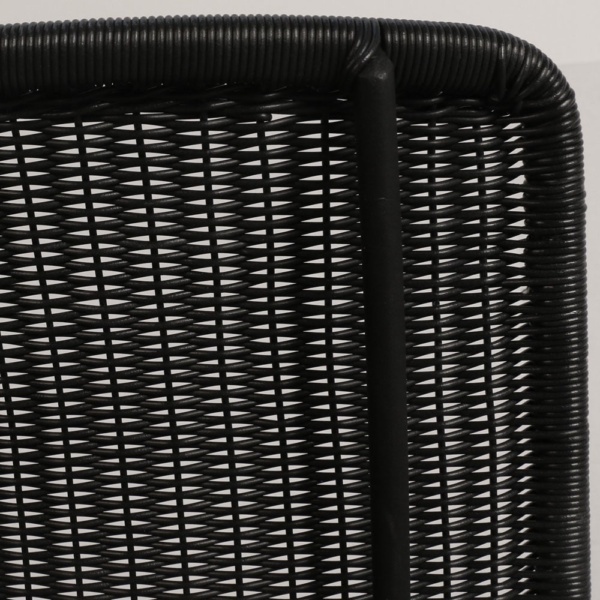 A slender black matte frame has a banner wicker back and base, which affords comfortability, trend and a sharp sense of style to many spaces, interior and exterior! Place several of the attractive, luxurious Polly Wicker Dining Chairs in black around a smart teak dining table for a fresh mix of materials in contrasting tones. Accent your table with black accessories for a satisfying, modern achievement. Perhaps a smaller balcony area awaits a wee cafe table. Try a concrete round table setting with two of the black Polly Dining Chairs and allow yourself to enjoy the superb contemporary flavour of an attractive and slick setting! 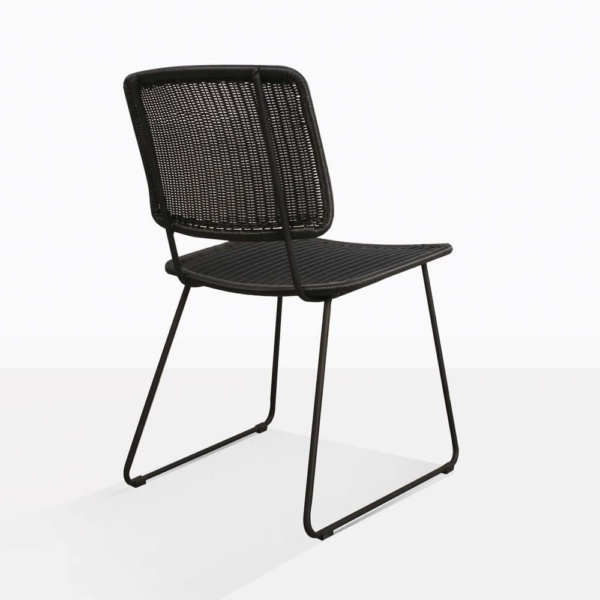 This Polly Chair will also offer texture, depth and superb style to indoor areas also. Make for a mid century and state of the art situation in your office, kitchen or lounge with the Polly! Made with our sensational hard wearing powder coated steel, the Polly Outdoor Dining Chair, is strong, stable, elegant and easy to maintain! Powder coating holds up problems like rust and creates a polished and refined look you will love. 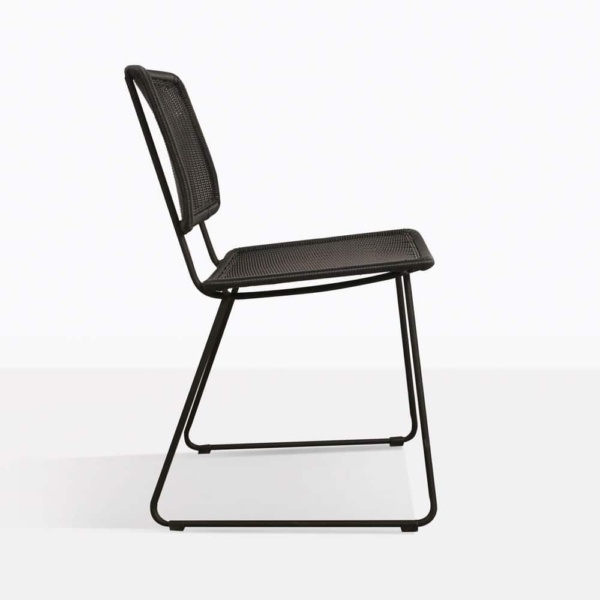 The Polly Dining Chair is available in both white and black colours, and is offered in a Relaxing Chair style so you can create a brilliantly cohesive look. Design Warehouse is a leader in luxury outdoor furniture, we offer everything you might need to live a fabulous life outdoors. From dining chairs, to tables, sofas, sectionals and more, allow yourself the freedom of expression in the open air. The Polly Outdoor Steel Dining Chair is a must have. Call and order yours now!